The sequel to everyone’s favorite natural disaster/shark attack movie mash up, ‘Sharknado 2: The Second One’ utilized the Blackmagic Cinema Camera as its B camera. For more on how they used the Blackmagic Cinema Camera and other Blackmagic products on ‘Sharknado 2: The Second One’, please see the press release below. 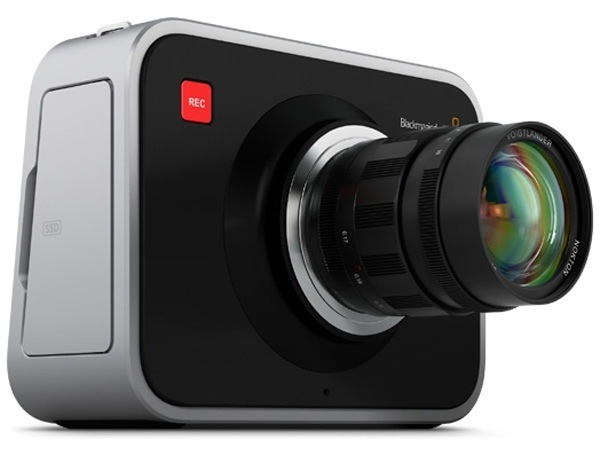 As always be sure to visit Blackmagicdesign.com for more information on their various products. Finally, for those in the Los Angeles area, you can see these products and much more today during Blackmagic Desgin’s live seminar. In Sharknado 2, the horror of thousands of sharks in tornados moves to New York City after the destruction of Los Angeles in 2013. Featuring the previously not shark-devoured cast members of the first film, including Ian Ziering and Tara Reid, who join celebrities such as Vivica Fox, Mark McGrath, Judd Hirsch, Matt Lauer and Robert Klein, the new movie tells the story of a freak weather system turning its deadly fury on New York City and unleashing a sharknado. Produced by Los Angeles’s The Asylum and directed by Anthony C. Ferrante, Sharknado 2 was shot primarily in New York City with two days of additional photography in Los Angeles. Ben Demaree, who was the director of photography on the first film, returned for “The Second One” as well. The film includes a huge number of special effects, green screen shots and footage from other sources, such as NBC’s “The Today Show.” Filming of the movie included a number of different cameras, including the Blackmagic Cinema Camera (EF Model), which was used as a B camera for pick up shots. Sharknado 2 also used a number of other Blackmagic Design products in the making of the film, including the Teranex 2D Processor standards converter, multiple Blackmagic Design Mini Converters and various DeckLink and UltraStudio I/O devices. Teranex 2D Processors were used to convert a number of different sources shown in the film, as news stations from around the city began reporting on the horrors of sharks riding in tornados. Sharknado 2 will air on July 30 on the SyFy Network.